Founder Deena Drewis encourages more women to submit their stories. In the massive world of book publishing, it’s easy to overlook the intrepid work that independent publishers are doing. Such is the case with Los Angeles-based Nouvella, a press entirely dedicated to the novella, which Dictionary.com adorably defines as “a short novel or long short story.” For Nouvella, this means literary fiction that falls within the 10,000 to 40,000 word range. 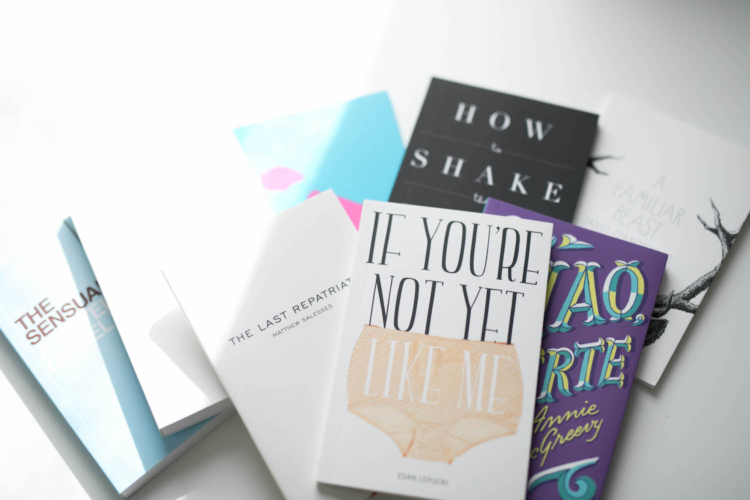 Launched in 2011, founder Deena Drewis and her tiny army are dedicated to sourcing stories that don’t quite fit the conventional big-book publisher, but are still worthy of a bound release trimmed to pocket-sized. The team find their authors a couple ways: 1. through cold submissions (instructions are outlined on their site here); or 2. acquisitions via scouting (writers: get your work out there, you never know who’s reading it!). 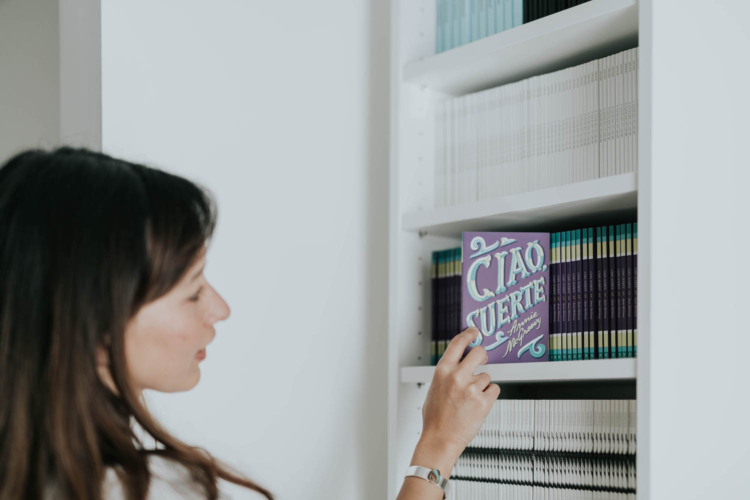 In some cases, literary agents also reach out about clients who may have novella-length works that are otherwise tucked away in a desktop folder. In all, Nouvella is DTF with exciting new voices, complex characters they’ve never seen before, and — especially! — writers that don’t identify as cis men. 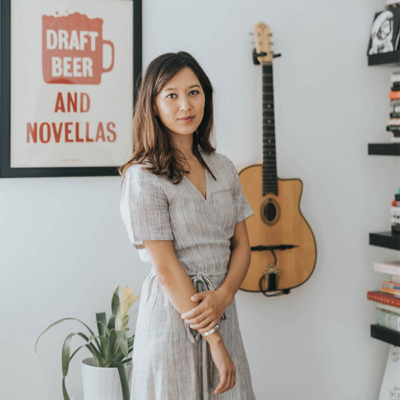 Ahead, we chat with Deena Drewis about the origins of Nouvella, the thrill of discovering writers who have gone on to become NYT bestselling novelists, and how editing books has inspired Drewis to write her own short stories (coming soon this summer). What inspired you to launch Nouvella? And, logistically, how were you able to get it off the ground financially? I launched Nouvella in 2011, after working for a few years with a literary magazine in Sacramento called Flatmancrooked. Towards the end there, we’d come up with this idea to publish novellas, largely because no one else was and we knew that writers were writing them. So we put together this promotion program called LAUNCH for the novellas, where readers get to “invest” in the career of emerging authors, and in return, they get a signed copy of the book and handwritten thank-you note. The idea was that readers would have this special, personalized artifact from the early days of the author’s career. And y’know, it worked! Two of our first authors — Emma Straub and Edan Lepucki — went on to become super famous New York Times best-selling authors over the course of the next couple years. And there are a couple hundred people out there that get to say they knew about these geniuses way before everyone else did. Anyway, I was the editor overseeing the novellas at Flatmancrooked, and when the founders decided to close up shop, I knew I couldn’t let it go. As for funding, well, two things: 1. I moved back in with my parents for a bit, and 2. credit cards — neither of which are very inspiring answers. It’s a huge financial endeavor to take on on your own. In terms of open submissions, what do you find are the kinds of stories or genres that flood your inbox? It’s a real eclectic mix. We get a little bit of everything. Reflexively, I’ve always called our titles “literary fiction,” though I think that conversation has gotten to a point where we can all agree that that doesn’t actually mean anything. Genres and labels may be useful for marketers, but they’re mostly counterproductive to the creation of art. One thing I find to be disheartening is that our submissions overwhelmingly come from men. I’d put it at about a 6-1 ratio. For all the conversations that have been going on over the years about diversity in publishing, it’s clear that the issue is deep-rooted and still extremely pervasive when it comes to who gets to think of themselves as a writer. What are some of your favorite titles that you’ve published? They’re all my favorites, of course! Whichever title I’m in the thick of it with — I’ve just recently wrapped edits on books by the wildly talented writers Ann Lewinson and Gabe Urza, and am in the middle of edits on a title by a terrific new writer named Laura Farmer — is the one I’m most excited about. Editing is such an incredibly intimate, challenging process, and you come out the other side of it attached to the book in a very different way than when you’re reading as just a reader. What was your own personal career trajectory? I knew from my sophomore year of high school on that I wanted to work with books. I studied literature in college at the College of Creative Studies at the University of California, and after I graduated, I started up with Flatmancrooked. I’ve worked at a handful of news and media outlets, but my abiding passion has always been in fiction. Presently, in addition to Nouvella, I work as a copywriter for a creative agency, which is a lot of fun. Are you a fiction writer yourself? Tell us about any work outside of Nouvella! I just sold my first short story, called “Girls in Love,” to Nicole Chung at Catapult. It’ll be publishing there in June, and I couldn’t be more thrilled because I’m such a tremendous admirer of Catapult and Nicole’s work. It’s part of a linked short story collection I’m working on about three generations of Korean women set in South Korea and the U.S.